Try Medical Marijuana For Sleeplessness! There is one major problem that is bothering a lot of people today. That problem is none other than sleeplessness. Not being able to sleep can really cause anyone to get mad. Sleep is a necessity. Not getting enough of it can cause numerous problems including migraines, deterioration of physical appearance, and a reduction of immunity levels. One of the best ways to treat sleeplessness is to use medical marijuana. Listed below are some causes of sleeplessness and how medical marijuana can help to treat insomnia. Stress is one of the top causes of sleeplessness. Anybody can suffer from stress. 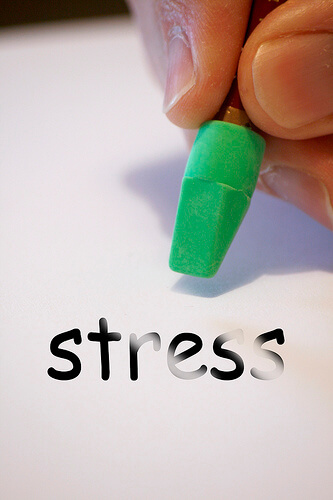 A person working too hard or a student handling too much study loads are perfect candidates for stress. A person suffering from stress will have a hard time sleeping. He will not be able to sleep even if he has been tired out due to al the activities that he has done. It is a good thing that medical marijuana is known to eliminate stress. Medical marijuana can easily help a person relax, making his mind and his body more conducive for sleeping. Eliminate stress and sleep would not be that hard to achieve. Next to stress is depression. There is a long list of causes for depression. For adults, the most common causes include failure in their career, family problems, financial troubles, and heavy grief. Teenagers and young adults can suffer from depression as well. The top causes of depression for these include peer pressure, relationship problems, school requirements, and uncertainty of the future. Although not really considered as a miracle cure for depression, a lot of depressed patients have benefited from medical marijuana. The best way to deal with depression is to take marijuana along with frequent visits to a depression therapist. Asthmatic people also have a hard time sleeping. The difficulty in breathing can cause tension and even panic attics. Victims of asthma attacks also tend to have panic attacks – this is normal since asthma attacks can sometimes be lethal. Also, those who suffer from asthma attacks often hear loud wheezing, which is caused by the contraction of airways. Studies show that medical marijuana can promote better breathing. Nevertheless, the effects vary from one person to another. Some asthmatics benefit from medical marijuana while some don’t. That is why expert medical opinion would have to be obtained first before using medical marijuana to threat sleeplessness-causing asthma. Not a lot of people know that arthritis can also cause insomnia. Injuries, exhausting physical activities, and even genetic buildup can all lead to arthritis. There are different kinds of arthritis. But it is often characterized by painful joints, which then lead to sleeplessness. Although kids can get arthritis, a huge majority of patients suffering from the inflammation are teenagers and adults. It is a good thing that arthritis can be treated with medical marijuana. Not only can medical marijuana reduce pain. It is also known to improve the quality of sleep among patients. In animal trials in 2000, researchers have even found out that medical marijuana has prevented the progression of arthritis. One would not be able to sleep well if he is experiencing a bad migraine. When a person experiences migraine, not only does he suffer pain. He also becomes too sensitive to lights and sounds. It is a good thing that migraine can be treated with medical marijuana. Medical marijuana can slow down the neurotransmitters on the brain and eventually cause relief. Experts believe that medical marijuana can do a better job than most migraine medications. Migraine medications are known to have side effects including high blood pressure as well as extreme fatigue. Those who have trouble sleeping can consume marijuana in three ways. Marijuana can either be smoked, vaporised, or eaten. Eating marijuana by incorporating it to various dishes and pastries is fun. But cooking is the least effective way to get the benefits of marijuana. Also, it is not practical to eat food just before going to sleep. Thus, the best way to consume medical marijuana to improve sleep is either by smoking or by vaporisation. Vaporisation should be chosen over smoking because it is more practical for those suffering from respiratory problems. Sleeplessness is more of a symptom than an actual disease. It can be caused by numerous factors. Sleeplessness should not be treated lightly as it can seriously damage one’s health. Anyone who is having a hard time getting sleep should be a sleep detective. The cause for sleeplessness should be found so that it can be treated right away. If you are having trouble sleeping, consider taking medical marijuana as soon as possible. All you need to do is to apply for eligibility and you can start benefiting from medical marijuana as soon as possible.